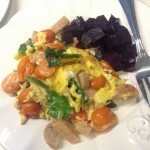 Simply Nutrition NYC | Looking for fresh vegetables in winter? Try Beets!!! Looking for fresh vegetables in winter? Try Beets!!! Home • Nutrition • Looking for fresh vegetables in winter? Try Beets!!! Beet is a root vegetable like turnip, carrot and radish. It looks reddish brown on the outside and is shaped like a turnip. 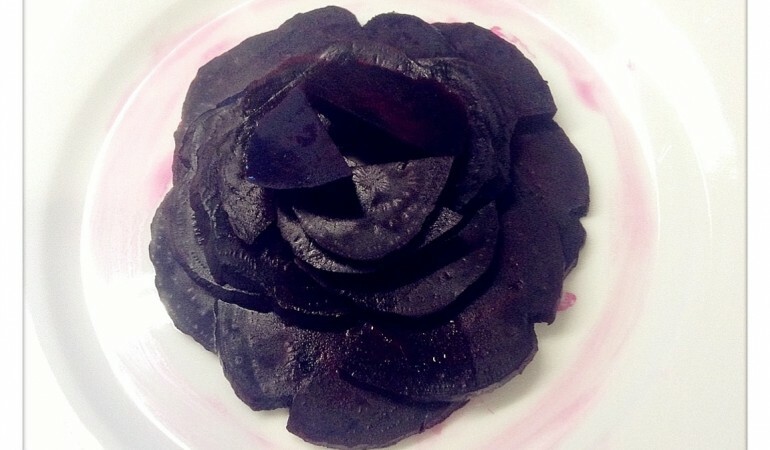 When it’s cooked and cut opened, its inside is purple-red in color, so as the juice. It’s usually sold with its red-veined green leaves. Remember to keep the leaves too. The leaves can be sauteed, mixed in pasta or cooked in soups. 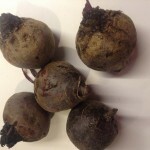 Beet is a very good source of fiber, folate, vitamin C, potassium and manganese. Folate, a form of water-soluble vitamin B, aides in cell replication as well as metabolism of amino acids (breakdown form of protein). Folate is also important for childbearing women to decrease neural tube defects in newborns. 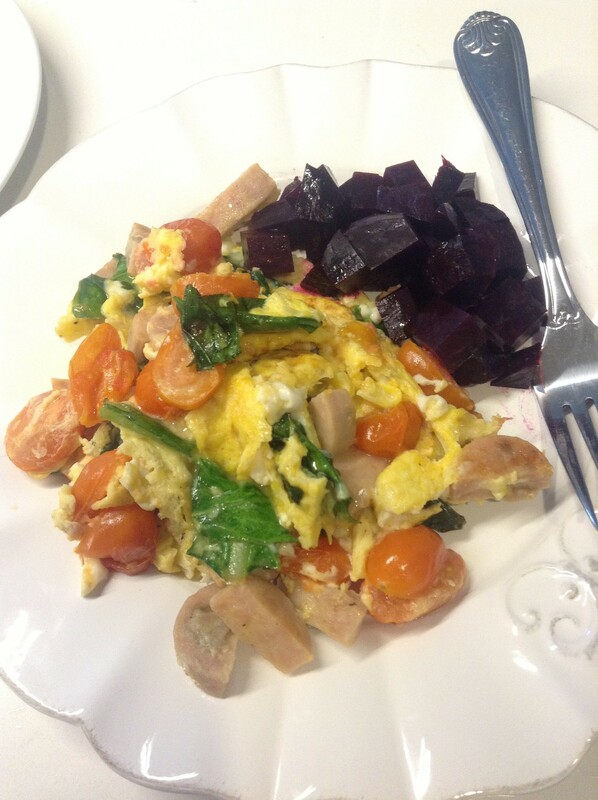 The leaves of beets are a very good source of vitamin A which is essential for vision and skin. 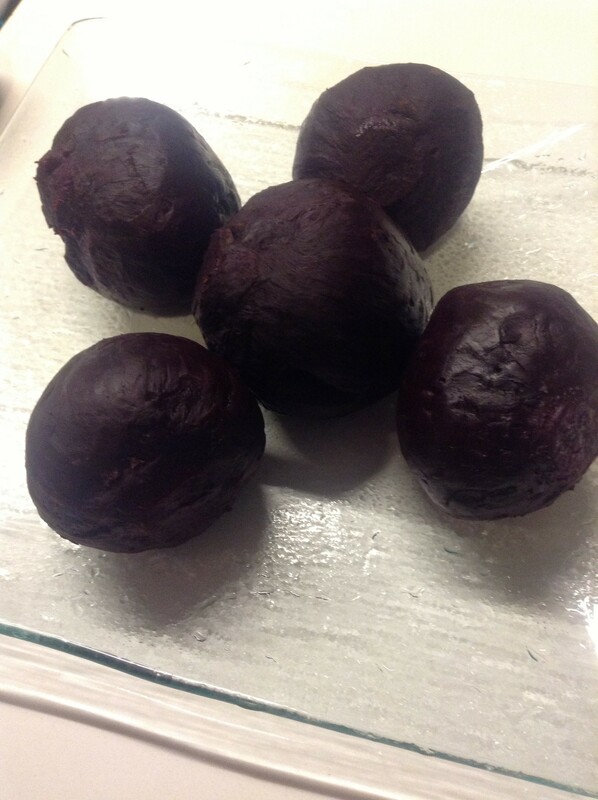 Choose small or medium-sized beets with firm roots, smooth skin and reddish-brown color. 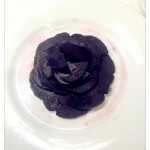 Try to select similar size of beets, so the cooking will be more uniform. 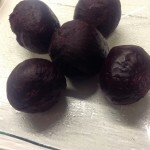 Avoid beets that have spots, bruises or juicy surface. If you are purchasing the bunch of beets, their leaves should look fresh, crisp and lively green. Wash the beets and greens before you use them. Do not wash them before storage. 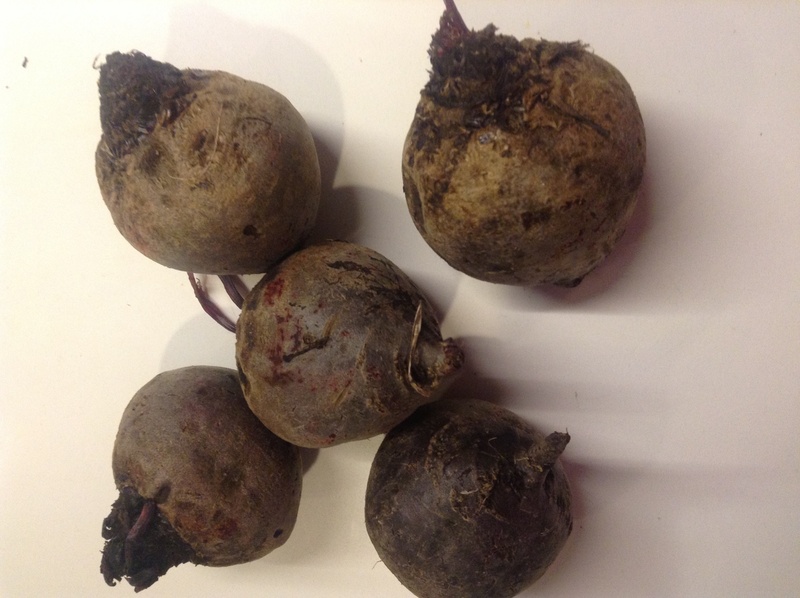 If you are not planning to eat the beets within 4-5 days, cut the leaves an inch from the root. Store the leaves and roots separately in a bag in the fridge, then the leaves can last about 4-5 days and the roots can keep for up to 3 weeks. Preheat oven to 400F. 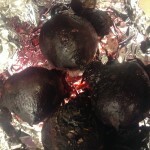 Place beet roots on aluminum foil. 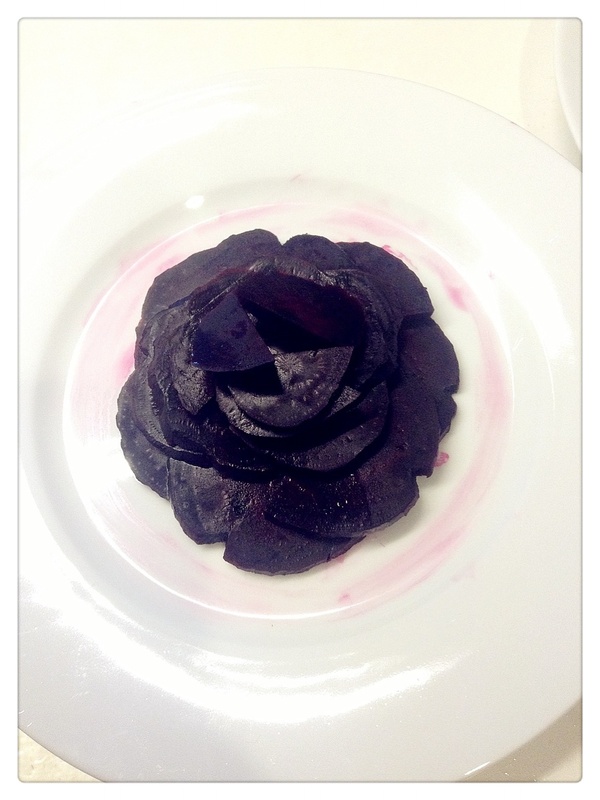 Toss the beet roots with oil and add hot water in the middle. 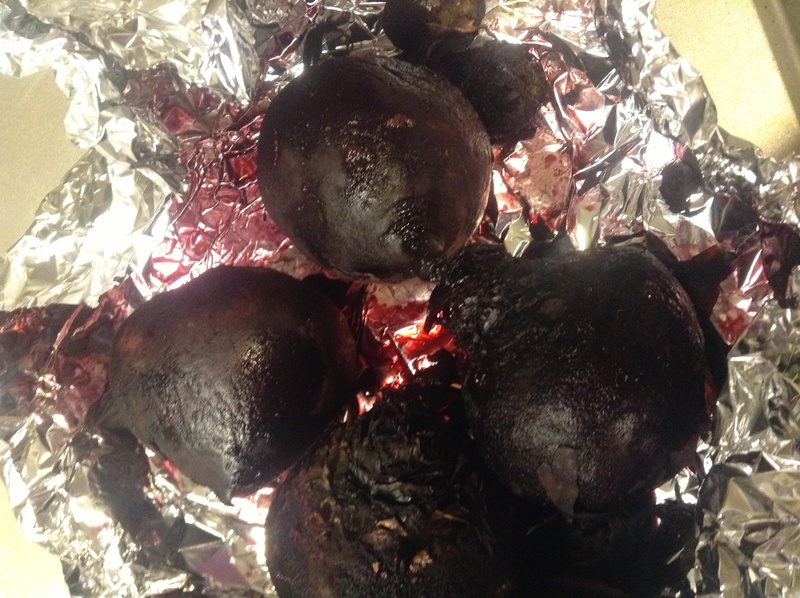 Make sure the beets are sealed with aluminum foil. Bake for 45-60 mins, or until a knife can slide through easily.